I hope your weekend was excellent! My husband really puts a damper on Friday by saying "don't get too excited, you're only 2 days away from Monday" :( What a sad way of looking at it! But it does explain why weekends fly the heck by. Am I the only one who wakes up on Sunday feeling like the weekend has already ended? Boo! I'm so excited to share with you more master bedroom progress we worked on this weekend. The big reveal is only a week or two away...yay! Decorating this room has been expensive, ya'll. I'm glad its coming to an end. This was such an easy project to throw together. 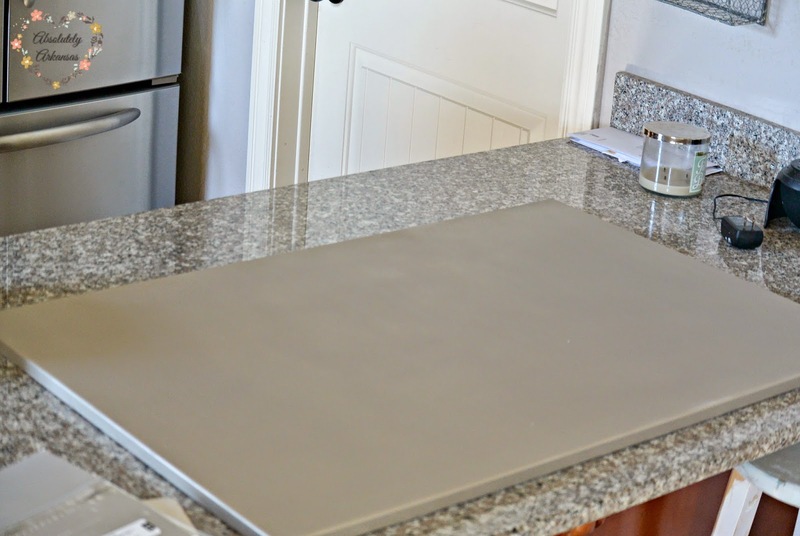 I started with a GIANT canvas from Hobby Lobby, and spray painted it krylon brushed nickel in satin. 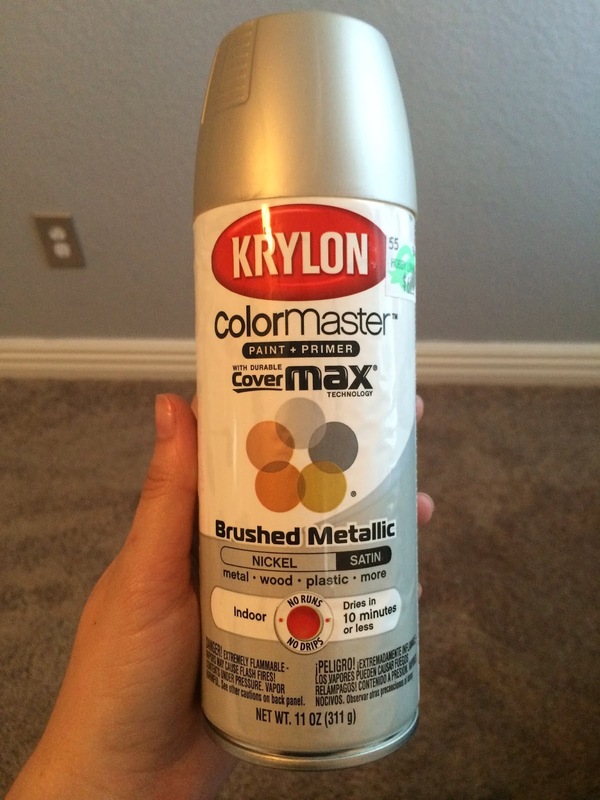 It's the perfect mix between gold and silver, it showed up great on the canvas. It took 2 coats of paint, and then after letting it cure for 24 hours, I took a damp dishrag to it to remove any overspray or dust that seemed to have accumulated overnight. It was an easy weekend project that made a big impact in our room. I was doing my makeup this morning reading over the well wishes and it was a perfect way to start the week! 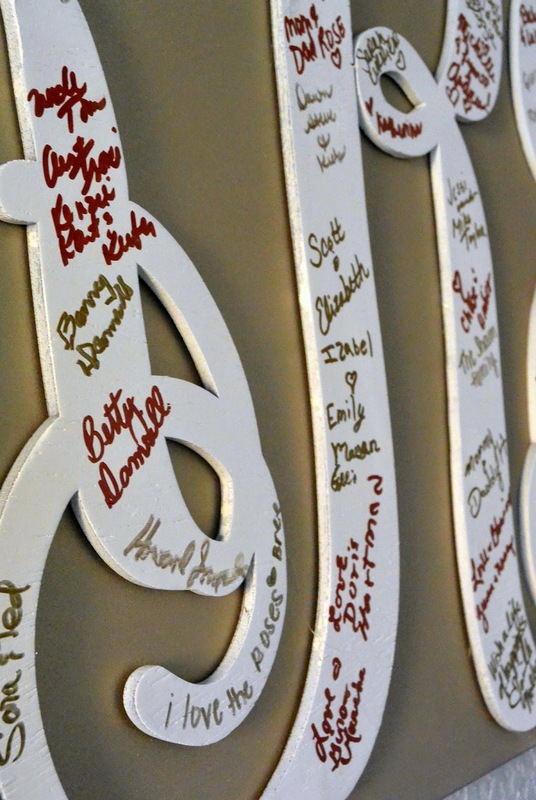 What'd you do for your wedding guest book? Do you still get the smiles when you read it over? Not stealing, borrowing! Use away, my friend! 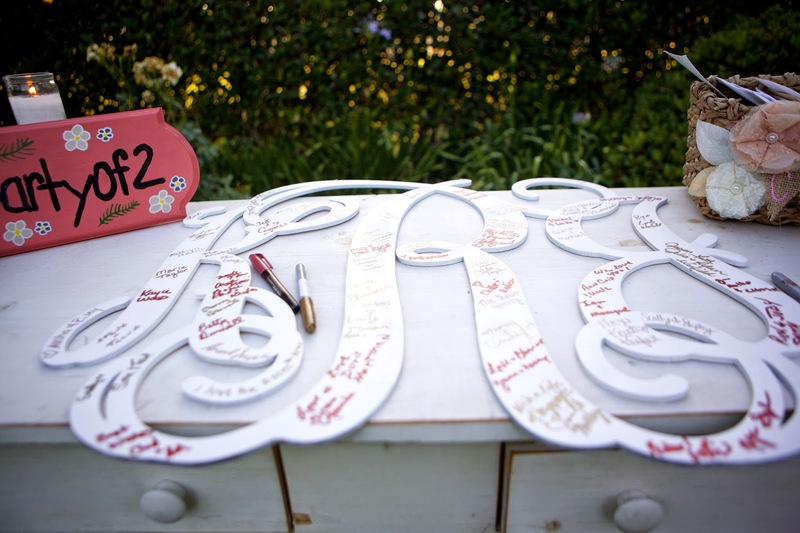 Such a great idea for a guestbook, and such a great way to display it! I love the color you sprayed the canvas, too. I can't wait to see the rest of your reveal. The bits and pieces you have shown so far have been such a great teaser! Thank you so much, Em! 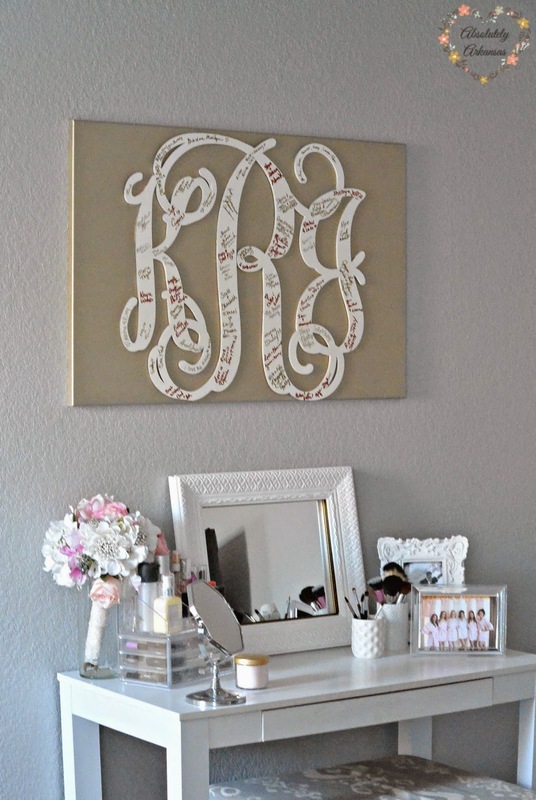 I am fully obsessed with monograms and our last name EVERYWHERE! what a cute thing to have hanging all the time! =D love it! Thank you so much, Nancy! I just love reading it. Thank you, Laura! Happy hump day! That is such a great idea! Love how you have a piece of such a memorable day in your home. 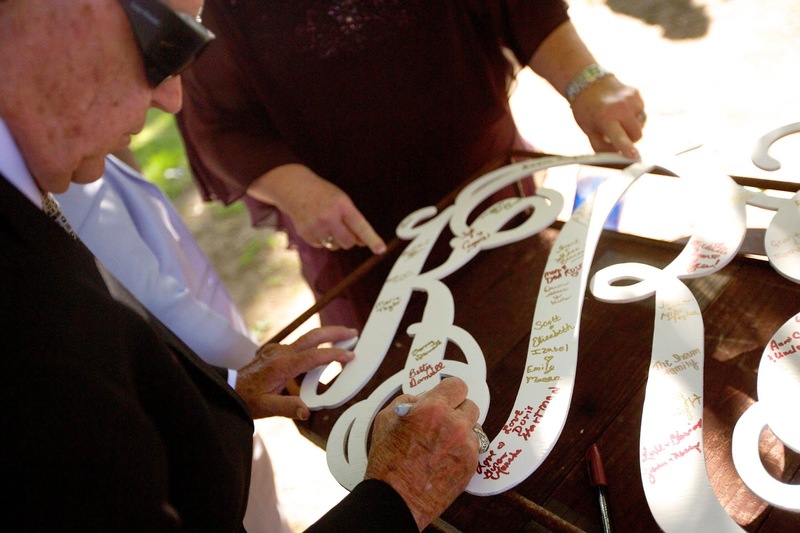 It is so lovely and thoughtful and yet so easy! Love the goldish accents of it. Thank you, Denise! I'm as obsessed with Gold as I am with monograms :) I just love it! I wish I could just bottle my wedding up and put it all over the house, it was such a special day! Thank you so much for coming by! I love it! Best part of my morning :) Thank you for coming by pretty lady! Happy Hump Day! Thank you so much, sweet girl! Im glad you could stop by! Thanks so much, i'm so glad you stopped by! I'd love to check out your blog. This was such a great idea, kylie! I am going to have to keep this in mind for when I get married one day. 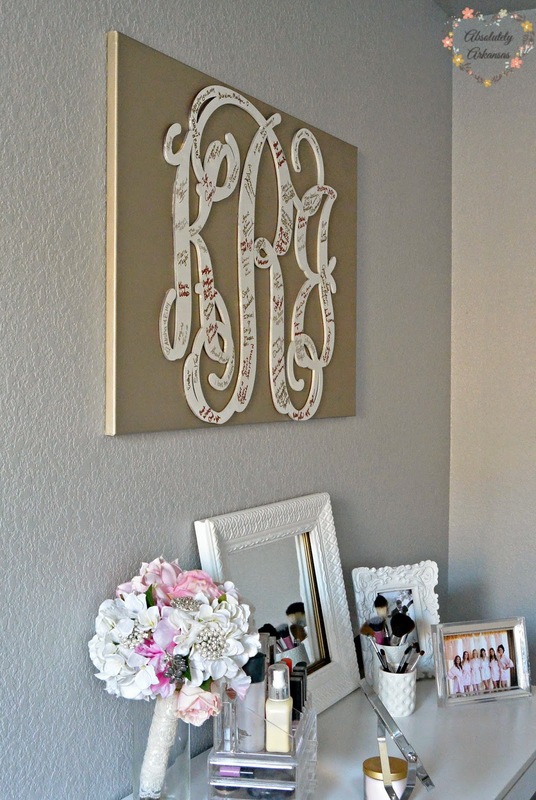 So excited to see your master bedroom reveal! 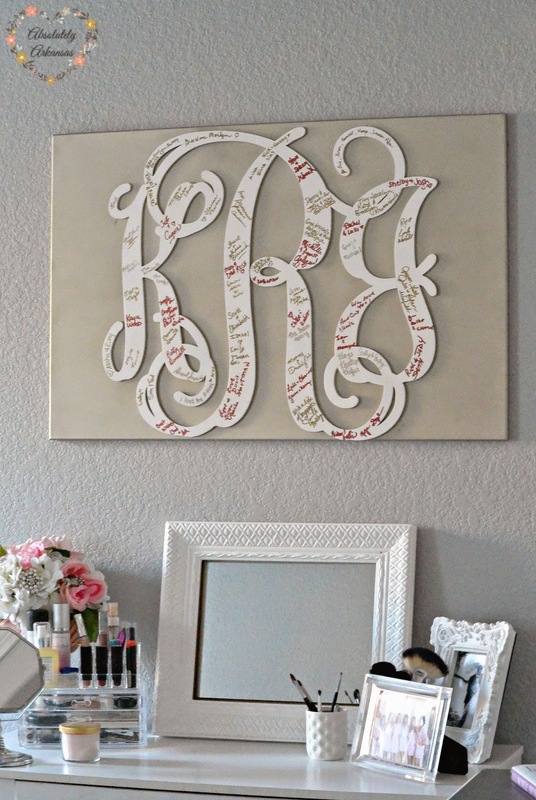 what are the sizes of the monogram and the canvas? Hey, Rebecca! I wish I had the exact measurements of the canvas, but I can't remember of the top of my head! 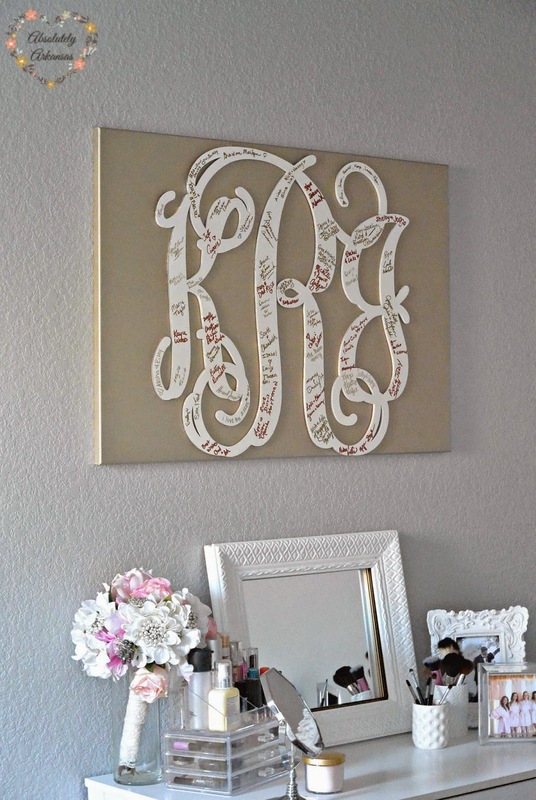 The monogram is 2.5 feet. It's pretty large! 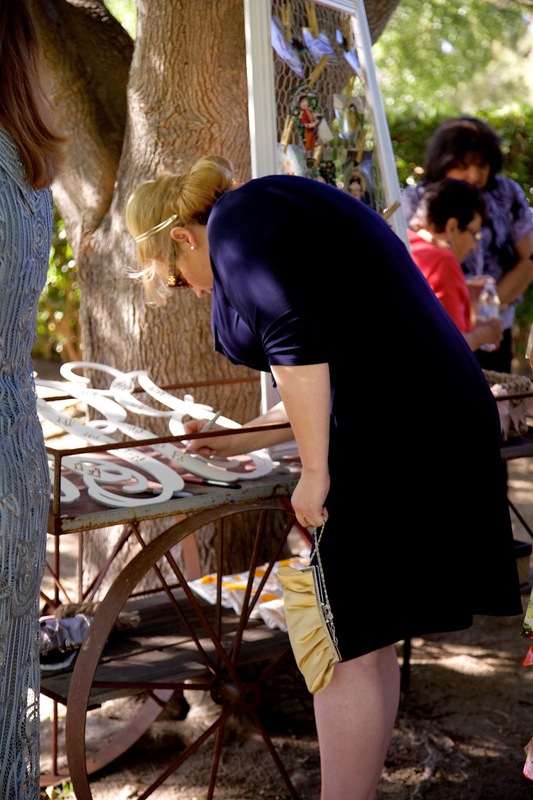 Thank you for coming by!